Returning after a long hiatus. I have not used my old Sho-Bud in a long time, and would like to know if anyone can educate me on it a bit. It is a model I think is called The Professional, serial number is <668> correction 4668. I bought it in 1986. 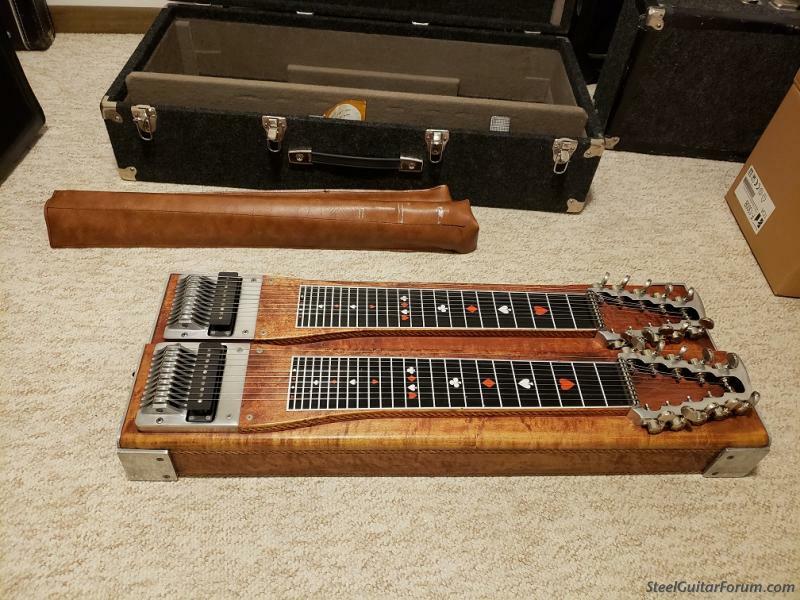 It is a D-10 with 8 pedals/4levers and has the barrel tuners. Anyone have an idea of the approximate year and value? How about a pic or two and a serial #... is it a “round front”? 73...I may be mistaken on that, though? Looks like it's really #4668. Better pic of the entire underside will help if you're trying establish a ball park for value. I used to have a Professional #3073 built in 1973, so yours is close to that. Is it in good playing shape? It is good shape. Bill Rudolph of Williams guitar tuned it up maybe a couple years ago and he also had a brand new hard case made for it custom. 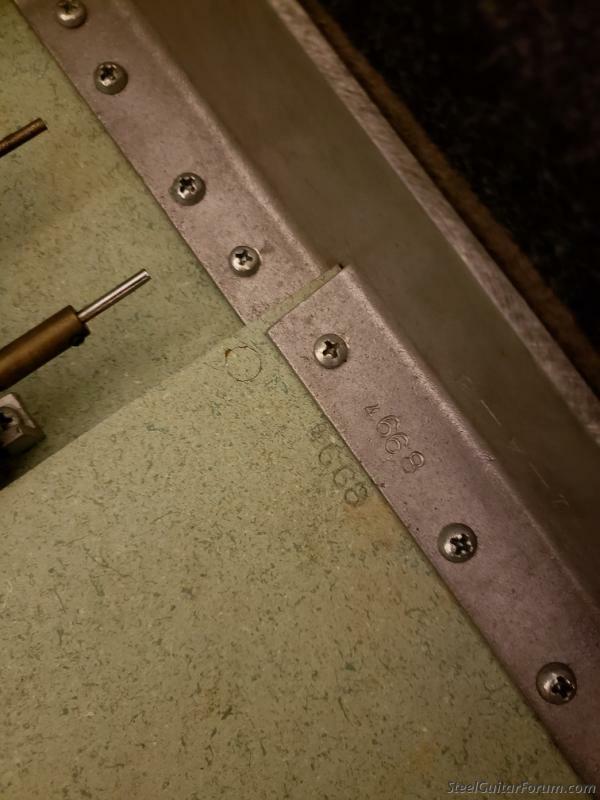 The original case had started falling apart. Plays good. I just never used it much since I bought my U-12 from Albert Svendall a while back. Yes as Ian just noted from the "Gene List"...it is indeed December 1973. And yes as Edward(Eddie) referenced....the Green tint added to the "normal" white texture paint....only was during the first year of the LDG..as that was May 1973 to May 1974...So any and most all Sho~bud's whatever model; during that first year LDG time.....had that green tint to the bottom texture. 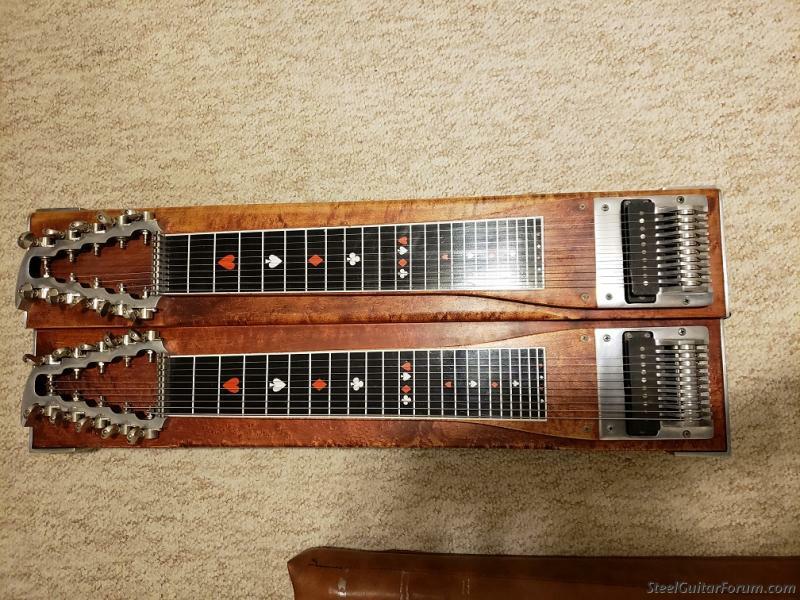 OH and Brian; you have no pics of the mechanism underneath....so is it "Rack" and barrel or "two hole pullers on Crossbars" and barrel tuning...that would determine the diff between "The Professional" or "PRO-II". Because at that time; the "PRO-II" has already started and had Crossbars instead of Racks....because, so did the first year LDG's...as the LDG took on the exact mechanism of the D-10 being built at the time of its entry. It has rack and barrel tuners.